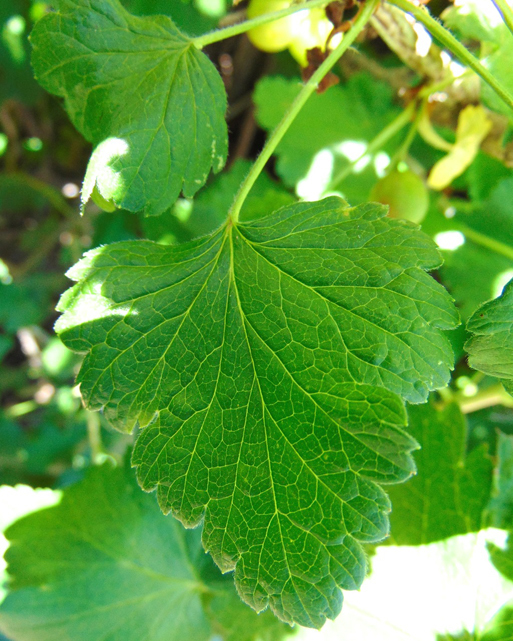 Shapes Globose larger than black currant but smaller than gooseberry, can reach up to 1cm in diameter, glabrous and eglandular containing few to numerous seeds. 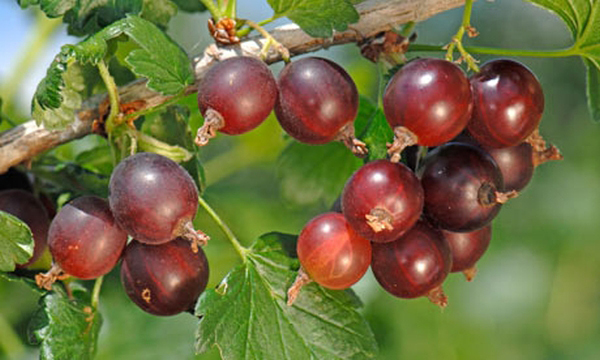 Jostaberries scientifically known as Ribes nidigrolaria and pronounced as ‘yustaberries’ are actually a genetic cross between black currants (Ribes nigrum) and gooseberries (Ribes grossuaria) and is native to Germany. The name Jostaberry was made via combining the German words for blackcurrant and gooseberry, namely Johannisbeere (“Jo”) and Stachelbeere (“Sta”). Following German pronunciation of “J”, it may be pronounced “yostaberry” in English. 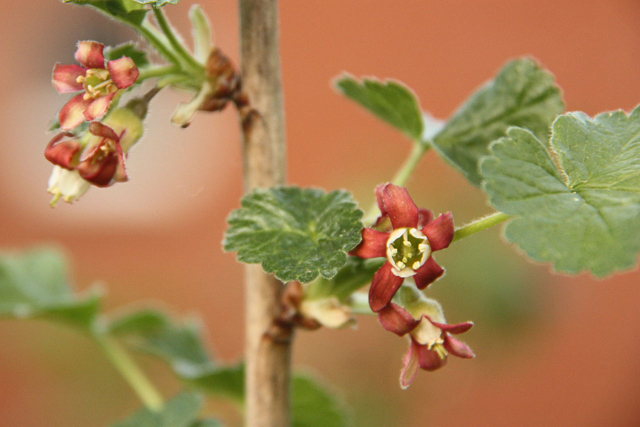 The jostaberry is a complex-cross fruit bush in the Ribes genus and is thorn less plant which resembles black currant in growth, but with leaves similar, yet larger than the gooseberry. It was developed by Dr Rudolph Bauer at Max-Planck Institute in Cologne Germany around 1970. Jostaberries are an excellent fruit to eat fresh or after they have been refrigerated. They also freeze well. Jostaberries add a delicious flavor to homemade ice cream and are excellent in pies, cakes and stewed. Jostaberry is actually a vigorous, multi branched, small, eglandular, deciduous shrub, growing up to 1 m high but can also reach 2 m. Plant prefers full sun but will also grow in partial shade. It can also survive in very cold sub-zero winters. They prefer sunny positions, protected from strong winds. Jostaberries tolerate colder climate, however, late spring frost can damage the flowers. It is found growing in well-drained, slightly acidic soil and a high organic content. It’s a good idea to mix organic compost into the soil before planting. Roots are normally 10 millimeters thick and can spread widely. Leaves are alternate, sub-orbicular, and palmately lobed with 3–5 irregular lobes, deeply veined and with serrated margins. Flowers are small, about 8 millimeters long, and a quite beautiful, flattened bell shape and have maroon petals that fold back in a very attractive fashion. Jostaberry is a complex-cross fruit bush in the Ribes genus. Fruit is globose larger than black currant but smaller than gooseberry and can reach up to 1cm in diameter, glabrous and eglandular containing few to numerous seeds. The fruit first develop into green fruit veining typical of gooseberry fruit. The fruit then turn pink /red as they mature, still with gooseberry characteristics. Finally they turn a deep opaque purple- black more like a blueberry .The skin of the berries is quite tough at this stage, much more so than either gooseberries or blackcurrants. The longer the fruit are left on the plant the better, as this seems to increase the sugar content. Largish berries of 10 millimeters diameter are not uncommon and the taste varies from intermediate between a gooseberry and a blackcurrant and has tangy-sweet flavor. Jostaberry bushes begin to crop well after two years, and up to 4-5 kg fruit per bush is possible. Sometimes, the Jostaberry bushes won’t bear good quantities of fruit until they are 4 or 5 years old. Many people give up on their bushes. Jostaberries are an excellent fruit to eat fresh or after they have been refrigerated. They also freeze well. Jostaberries add a delicious flavor to homemade ice cream and are excellent in pies, cakes and stewed. A wonderful jam can be made using fully ripened berries. Savory uses are in chicken dishes and salads or for great chutneys and relishes. The original jostaberry was developed in the 1955 in Breitbrunn West Germany by Dr. Rudolph Bauer and released in 1977. Open pollinated F2 cross of (‘Silvergieters Schwarze’ R. nigrum ✕ ‘Grüne Hansa’ R. uva-crispa) ✕ (‘Langtraubige Schwarze’ R. nigrum ✕ R. divaricatum). The process to merge these fruits began in 1883, however ran into problems with fruit set that were eventually solved with a chemical treatment called colchicine. Nowadays it is grown in several parts of the world with suitable environment. Good levels of vitamin C in your diet help to prevent atherosclerosis, a dangerous condition where your artery walls thicken with fatty deposits. Atherosclerosis is the leading cause of fatal heart disease and stroke, but by improving cardiovascular health, vitamin C may reduce your risk of developing serious heart problems. Vitamin C contained in Jostaberry has also been shown to improve circulation, mostly in the case of peripheral vascular disease. It also helps people who experience colds hands and feet in the cooler weather. Improving circulation can benefit almost all areas of your body as there is more blood carrying nutrients to cells. Our eye pupils needs good amount of Vitamin C to function properly. Vitamin C insufficiency may cause cataracts, where the lens become increasingly opaque, causing a blurry vision and leads to blindness in adults. A high intake of Vitamin C fights against cataracts and increases the amount of blood flow to the eye. 1000 mg Vitamin C per day stops cataracts in their tracks and improves vision. Therefore including vitamin C rich food like jostaberry can be a good option to obtain the required amount of Vitamin C.
Too much time in the sun may result in premature signs of aging like fine lines and wrinkles. Including a Vitamin C packed product like moisturizer or serum into your skincare lineup can reverse the sun’s unwanted effects to your complexion. “Vitamin C found in jostaberry is a powerful antioxidant and slows the rate of free radical damage that cause damage to collagen and contribute to fine lines and wrinkles,” explains N.Y.C. dermatologist Dr. Michele Green. Two of the most common health concerns as people age are blood pressure and overall cholesterol level, each of which can show a risk for heart disease as well as other serious health risks over time. In several studies, those patients who regularly consumed the recommended amount of Vitamin C rich foods lime jostaberry each day were more likely to reduce their cholesterol level over time. Additionally, the vitamin has been related with a gradual drop in blood pressure levels for those patients that have chronically higher blood pressure. 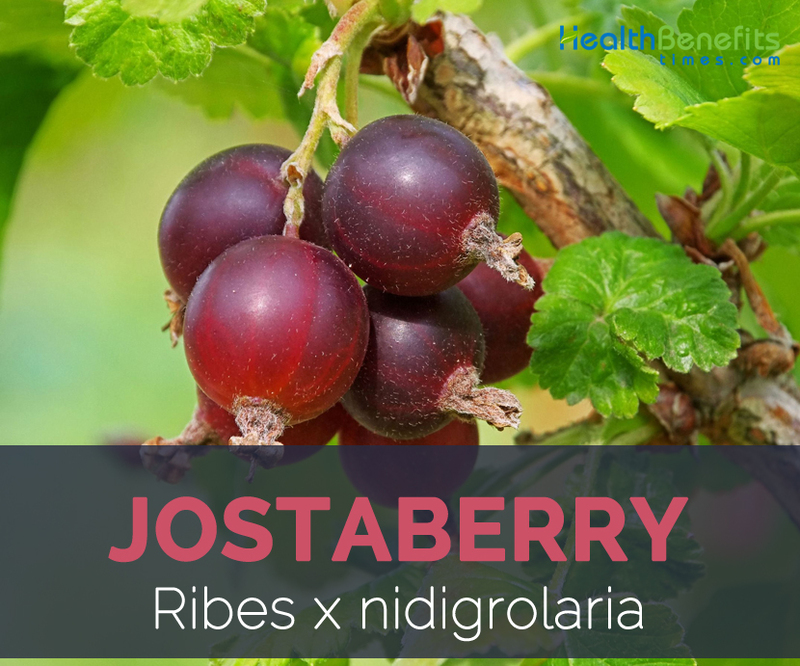 A healthy dose of Jostaberry protects our body from infections and maintains healthy bones and teeth due to the presence of higher amount of Vitamin C content. It also improves our body’s ability to repair wounds and keeps us immune from bacteria, viruses and infection. 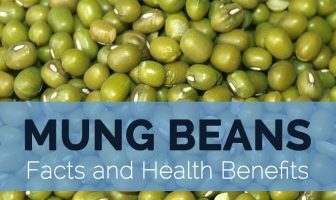 Not only is it a well-known component of our immune system, it is also essential for collagen, the main structural protein found in connective tissue. Vitamin C, when taken orally, helps wounds heal faster and better. Applied topically, it safeguards the skin from free radical damage from the exposure to UV rays. It is excellent for eating fresh or for processing into cordials, beverages, wine, jellies, preserves, pies and jams. A wonderful jam can be made using fully ripened berries. Savory uses are in chicken dishes and salads or for great chutneys and relishes. Jostaberry is also valued as an ornamental.